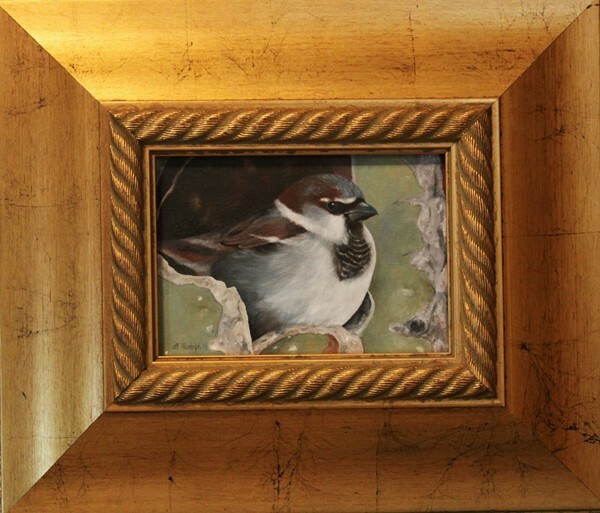 Barbara Rudolph Fine Art: Sparrow Painting "A Room With A View"
I finished up my little "sparrow" oil painting last night.﻿ Once it is dry I think I will put it in the frame above for the show. 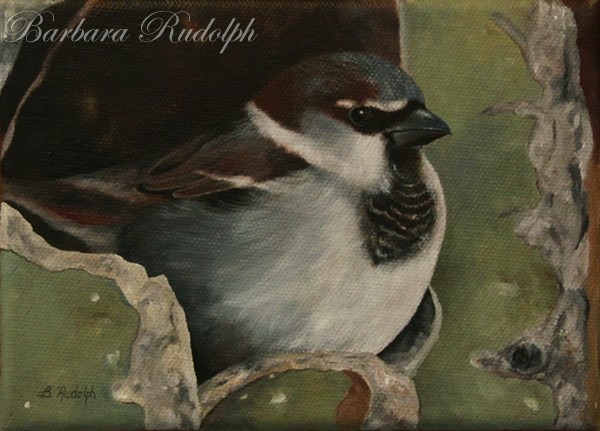 It is only 5"x7". I decided to call it "A Room With A View." The show is fast approaching and I have so many to complete before the 15th of January. This little "sparrow" painting was maybe the most fun to paint of all my new pieces. I didn't have to make any complex decisions in this one, I just painted it. This photograph was not taken by me, but a photographer named Robert Campbell. I think it was a great shot and he was kind enought to allow me to use it. An excellent sparrow painting, Barbara! Good luck on your upcoming show.